In my copious spare time, I finally got around to repainting my bike. Well, let me rephrase that. I had no choice but to paint my bike. See, last year, where I lived, there were 2 steps down from the house to the street. I couldn’t keep the bike parked on the street, so it had to go behind the house. That meant navigating down those two steps every time I wanted to take the bike for a ride. Unfortunately, one day I got stuck on the step, and very slowly dropped the bike. The tank dented, and I was broken-hearted. So this year I drained the tank and took it to the local body shop around the corner. They agreed to fix it up for $100, including priming. When I went to pick it up, they told me that it actually had been dented a long time prior, and that rather than fixing the dent, someone had just puttied it up. No wonder it dented so easily! They did a great job. I was left with a bike with a shapely tank, but a finish that made ya think of old Maaco TV commercials. Then it turns out that Honda didn’t start providing codes to manufacture reproduction colours of bikes until the mid-80s. So I’d have to eye-match the colour. As I researched, it turned my bike’s year (1977/1978) only had two colours available: Candy Presto Red and Excel Black, and not the blue it was painted! I’m too much of a stickler for details to feel OK leaving it blue, so I had to make a choice. I didn’t really want to make the bike black (do not get me started on Harleys…) so the natural choice was the red. The big tip from the paint shop was to over-reduce (dilute) the red coat (1:1 instead of 2:1, paint:reducer). I then applied this from a farther distance than you’d apply a regular spray coat, but not quite as far as a “drop coat.” This let the silver base coat shine through the red, making it extra reflective and keeping the red looking translucent. If folks are interested, I can post the exact codes (Sherwin-Williams) and more details on the process. Just leave me a comment and I’ll get around to it. This entry was posted in Crafts, Motorcycle by Wohali. Bookmark the permalink. All the time, Adam. That’s why I went back for 3 weeks this summer. Had a blast. Photos coming. I know it’s been a while since you posted this blog, but if you still have the Sherwin Williams paint codes, I’d love to have them. 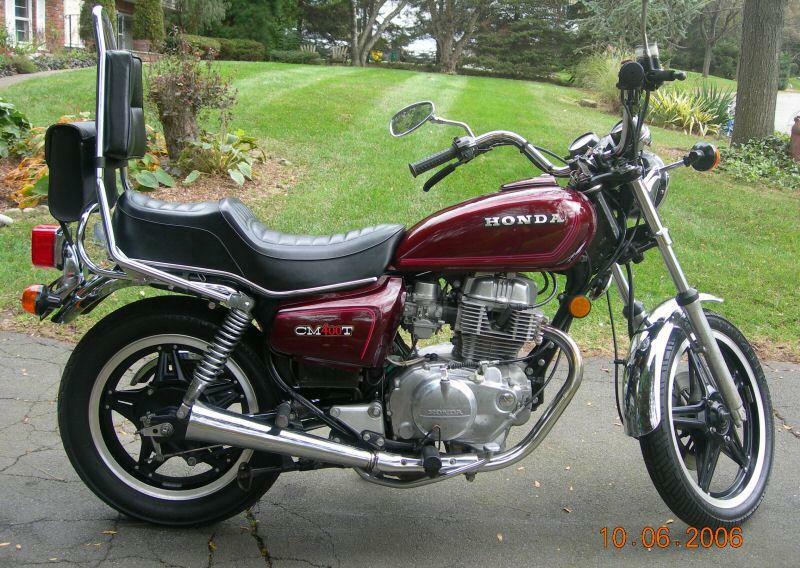 I just got a 1978 CB750F that needs a good paint job. Hello, I also would like the Sherwin Williams Paint Codes if you still have them. I just got a 1983 CB 550 SC Nighthawk and would like to Repaint it the Original Candy Presto Red Color. Thank’s, Steve………………………………. 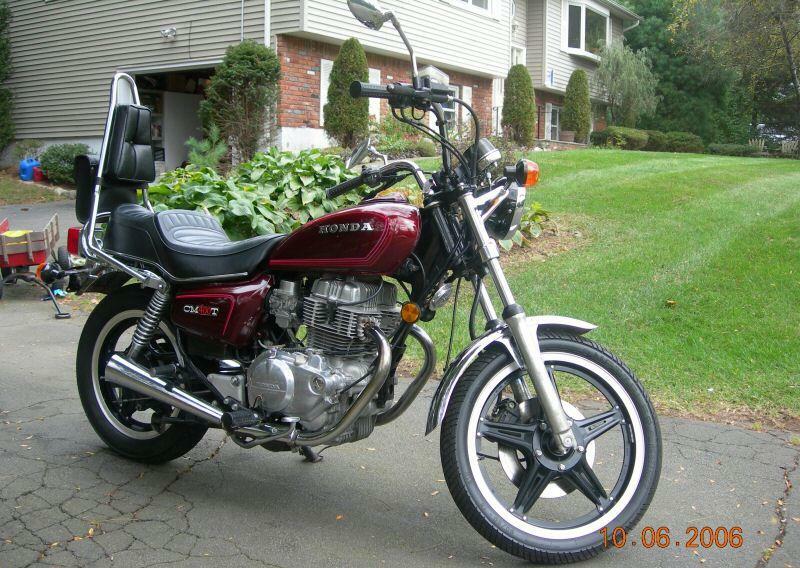 Nice job on your bike.I am also restoring an old Honda and would appreciate the paint codes you found for your bike. Thanks, Mark. Really nice looking paint job on your motorcycle. I recently picked up a ’79 CX500 Deluxe that I want to return to the original color. From what I’ve been able to find out it should be a Candy Presto Red. If you could provide me with the Sherwin-Williams paint codes and any other details to help me out, I would be very thankful!